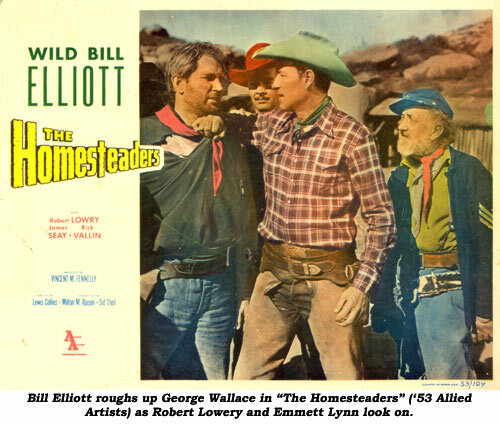 And George D. (Dewey) Wallace brought all those traits and more to bear throughout the ‘50s and ‘60s in “The Big Sky”, “Star of Texas”, “The Homesteaders”, “Vigilante Terror”, “Destry”, “Six Black Horses” and on TVers such as “Hopalong Cassidy”, “Stories of the Century” (as Cole Younger), “Kit Carson”, “Black Saddle”, “Overland Trail”, “Sugarfoot”, “Daniel Boone”, “Lawman”, “Rebel”, “Rawhide”, “Cheyenne”, “Tales of Wells Fargo”, “Laramie” and a recurring role as Tombstone badman Frank McLowery on “Wyatt Earp”. He turned more and more to character roles from the ‘70s onward. 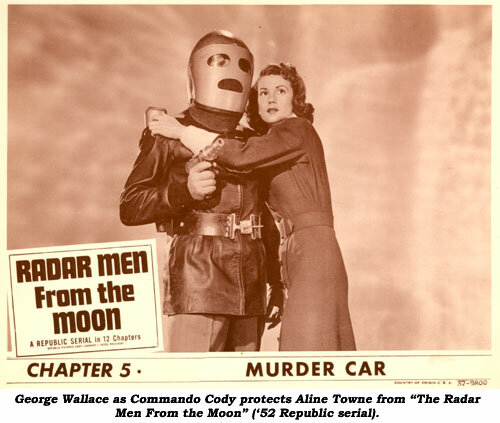 Born June 9, 1917, in New York, he moved with his mother and her new husband to the coal mining town of McMechen, WV. His schooling ended with the 8th grade at the height of the Depression, and at 13 he began working in the mines. In ‘35 George joined the CCC (Civilian Conservation Corps) then the Navy in ‘36 where he boxed and became light heavy weight champ of the Pacific Fleet for two years. Reenlisting when WWII broke out, he served til ‘45. 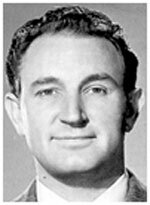 Supporting himself after the war with a number of odd jobs (lumberjack, meat packing company, bouncer), it was as a singing bartender he came to the attention of noted columnist Jimmie Fidler and broke into films in 1950. 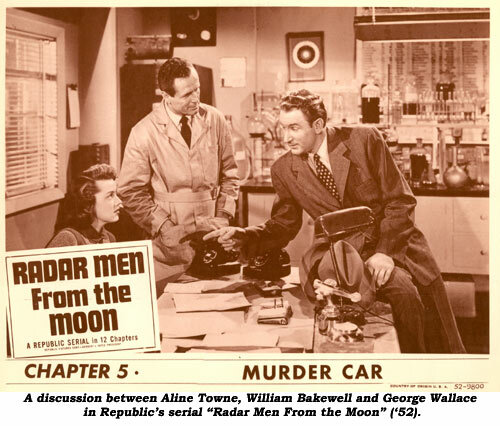 Attending dramatic school, he auditioned at Republic where the fledging actor won the role of Commando Cody in “Radar Men From the Moon” serial (‘52).